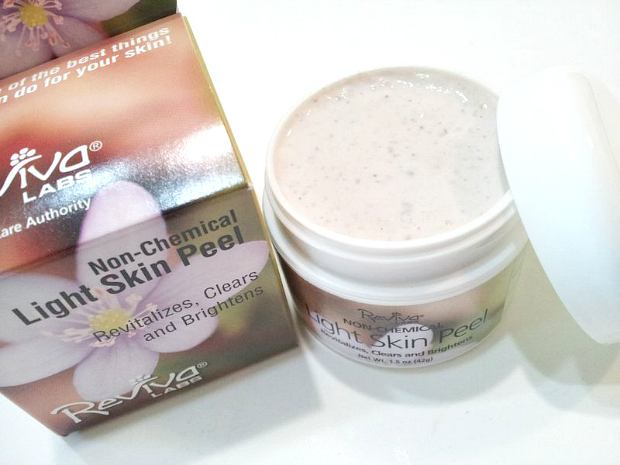 In 1973 when Reviva Labs was established, the word “Exfoliation” was unknown in America. That was over 40 years ago. 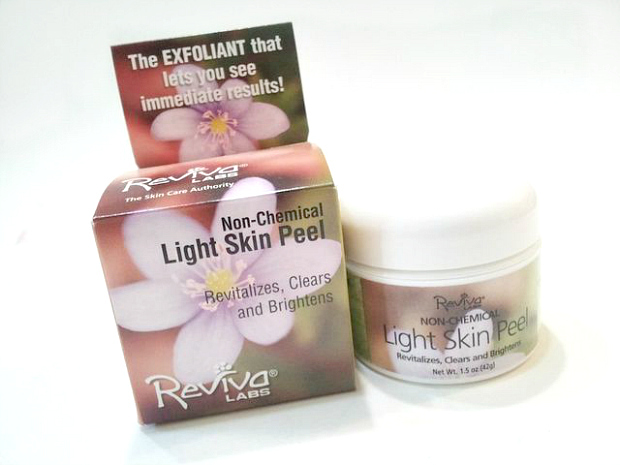 It’s when Reviva Labs introduced the first non-chemical European Exfoliant to Health Food Stores, known as “Light Skin Peel”. It’s unique formula and blending remains unduplicated today. Reviva Labs is a cruelty free skincare brand that I’m really enjoying! You know what else is cool? They’re based in New Jersey right by where I live so I absolutely love supporting a local company! I was lucky enough to get to try out the Non-Chemical ‘Light Skin Peel’ and the makeup primer (review to come) and I have thoroughly enjoyed them both! Today I want to share with you guys a bit about the facial peel! I’m a lover of face masks, I would do a one everyday! It just relaxes me! “Peeling” is a European term for one of the most unique European items in the entire cosmetic field. THIS IS NOT A HARSH CHEMICAL PEEL. It doesn’t ‘peel skin’ as we know it, but gently lifts off more hardened, dried skin cells that can’t be achieved by scrubs or any other ‘exfoliating’ product. This ‘peel’ was absolutely amazing! First and foremost it smells absolutely wonderful, it has little exfoliating beads inside of it so that when you you’re rubbing it off of your face with either your hands, a dry towel or cosmetic sponge you really feel it working! It’s meant to be left on for 3-5 minutes once a week. I have done it for almost 8 weeks now and I am really seeing a difference! My skin is brighter, less dried out and super moisturized especially after immediately using it. Immediately after rubbing the mask off my skin already feels softer, and sort of like velvet! After almost two months of use, my blemishes are almost completely gone and my skin is much more hydrated! I absolutely recommend this! The price point is very budget friendly, $20 for a 1.5 ounce tub and you get a lot of bang for your buck. I have barely put a dent in it in the almost two months of use!